While not the most common of crimes, there are still numerous cases of bribery each year in Maryland. Most of these cases involve a police officer or multiple officers during an arrest, but there are also numerous cases involving public officers and politicians. It is a serious and complex crime, but it usually boils down to the cop’s word against yours. The odds are always stacked against the defendant in these instances, making it all the more important to retain and experienced criminal lawyer to plan your defense. The are many ways to beat a bribery charge, and it starts with understanding the intricacies of the law, and knowing exactly what the state is required to prove. Benjamin Herbst has experience dealing with these types of cases, and is available 24 hours a day to offer a consultation about your charges. Under state law, bribery is classified as a misdemeanor, but do not be fooled into thinking this is not a serious charge. In fact, it is one of the most serious misdemeanor charges in the criminal code and may include a host of punishments upon conviction. Anyone found guilty of this crime faces the possibility of a 2-year minimum mandatory jail sentence, and up to 12 years in prison. There is also a minimum fine of $100 and a maximum fine of $5,000, which is often imposed in these types of cases. Defendants who are convicted will also lose some of their civil rights in the state, including the right to vote, and the right to hold a public job of trust or profit. 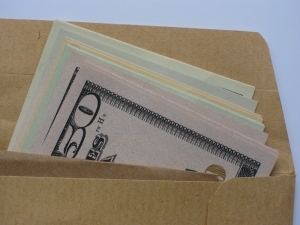 In order to prove a case for bribery, the prosecutor must how that there was an offer of value made by the defendant to a public officer or official. Public officer can include a number of different people including a state police officer, Baltimore City police officer, and a judicial officer. The prosecutor must then show that the offer was made with the intent that the thing of value would influence the public official in the performance of his or her duties. The defendant must be proven to have actually intended influence a public official’s actions, vote, opinion, decision, or judgment in order to be found guilty. In other words, the bribe has to be offered for a specific reason. Money or whatever else of value is offered does not actually have to be exchange for this crime to occur, as any expression of the ability to produce the amount or thing of value offered is sufficient. Many of these crimes are filed as attempted bribery because an arrest can be made before the transaction takes place. In more complex schemes where police are notified ahead of time about the situation, they may choose to wait until something of value exchanges hands before making an arrest. The Herbst Firm is prepared to defend you or a loved one regardless of whether the charge is offering or receiving a bribe. The potential penalties are the same, but there are unique elements and defenses for both these crimes. Contact us to schedule a free consultation about your case in one of our offices, or wherever is convenient for you.